Let there be no doubt: ramming Obamacare upon the hapless American public was going to happen, regardless of the consequences. Obama Inc.’s malignant intent required a “take no prisoners” approach and this crew knew how to get the (hit) job done. This is not hysteria-talk nor hyperbole. It’s reality. First and foremost, Obamacare has two main targets: the destruction of the economy and gaining absolute control over every citizen’s life – literally. Shades of national socialism and all its permutations. Think about it this way: once the Feds have the ability to determine who lives and dies their power is totally cemented. In other words, by obtaining a stranglehold on America’s health system, the Feds own each and every American life. In this regard, a decision has been made to rid the health care system of vets, and it makes “sense” to willfully ignore, to neglect, those who are most in need of care. Extrapolating further, now that it has become doable to dispose of those who serve the nation, does anyone imagine that they too are safe from Obama Inc.’s clutches? Of course not. But how do we go from the above designs to co-opting a Supreme Court Justice, its Chief no less? Easy. Enter: the NSA. Now it is no secret that the NSA has been violating its mandate for years, even more so under the dictatorial regime of Barack HUSSEIN Obama. Its reach has extended into EVERY sphere of America’s citizens, except for those whose loyalties lie elsewhere – the Muslim ummah. 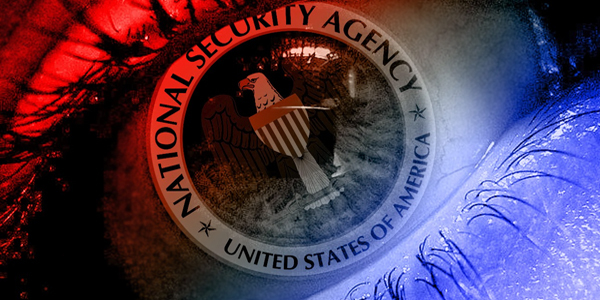 In fact, the Senate recently introduced the USA Freedom Act to curtail mass CIA spying! Be that as it may, in order to ram through Obamacare, a familial hammer had to be held over the Supreme Court’s head, and some might suggest it was akin to Sophie’s Choice. Hobson’s choice, if you will. How so? Well, since it had to be deemed Constitutionally “kosher” it required potent leverage. The NSA more than likely delivered the goods. There is very good reason to believe that regardless of the media’s skillful smothering of the story, John Roberts is being blackmailed to make certain Obamacare never falls in a Supreme Court case. The basis of this charge surrounds the fact that a series of strange (and probably felonious) acts are attached to the adoption of his two children. In 2005, when they thought they were doing the Democrats’ bidding, the New York Times dug into apparently easily accessible records and found that the children Roberts and his wife adopted in “South America” started life as Irish citizens. This is a red flag. The laws of Ireland regarding adoptions are very clear: adoptions by non-citizens are prohibited, as are private adoptions. Apparently, when the Democrats realized they could control a Supreme Court Justice’s vote through blackmail over his having committed a number of international crimes, the Times pulled back and dropped its investigation. The Democrat paper of record pulled back because it didn’t want to “ break the seal of an adoption case” – as if violating laws ever means anything to Democrats in their quest for power. Keep in mind Barack Obama’s violation of his opponents’ “sealed” divorce records propelled him to a US Senate seat. 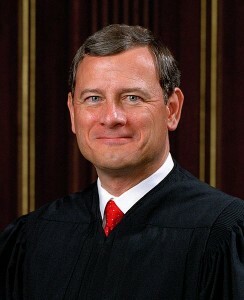 What does the Roberts problem mean for the average American who looks to Washington for relief from Democrat oppression? It means we won’t be getting any relief from the Roberts Court, period. As is said, by hook or by crook, many will step over anyone who blocks their way. Some [hint: the Criminal-in-Chief] will make sure that those they deem “threats” never live to tell their tales, while others [hint: AG Holder, a radical racialist posing as chief law enforcer] will break this and that law, despite their mandates to uphold the laws of the land! Laws, what’s that? Oh, they are applicable for the unwashed masses. Now, common sense tells us that the leftist-driven media circled the wagons around “their boy” Roberts – by keeping “faith with the law”, opining that the sealed records of Justice Robert’s children must remain glued shut – but not because it was a legal (and moral) imperative! In fact, they stayed silent about Obama’s violation of a similar legal stricture, while he climbed to his Senate seat (with many radical, Islamist helping hands), by BREAKING his opponent’s SEALED divorce documents. In effect, legalities are nothing but convenient stepping stones, and herein belies the heart of the leadership’s deception and totalitarian bent. While the children of the Chief Justice are indeed innocent bystanders, rest assured, their father is NO innocent. Therefore, because the issues at stake enjoin the highest price tag, matters of life and death (except the privileged few, those “exempt” from the monstrosity of Obamacare), it behooves turning the above info into a media circus, whatever way the job gets done. In this regard, if the only way to get to the bottom of what is more than likely BLACKMAIL of inestimable proportions, then this site implores – especially alternative media and patriotic legal forces – who have the ability to push this issue to the max – break the adoption seal! The notion that radical revolutionaries have taken a hold of America’s power levers is frightening on many levels, but the dangers won’t end when the reign of Obama Inc. comes to an end. Not at all. Waiting in the wings are others, and Hill is in the forefront. In light of the following revelations, exactly how dangerous would a Hillary Presidency be? Judge for yourselves, but only after viewing the following movie! This entry was posted in Uncategorized and tagged absolute control, destruction of the economy, Did NSA Blackmail Roberts to OK Obamacare?, following movie, http://www.theregister.co.uk/2014/07/29/senate_introduces_usa_freedom_act_to_curb_nsa_spying_excesses/, John Roberts, Muslim ummah, NSA, radical revolutionaries, serve the nation, Sophie's Choice, vets by Adina Kutnicki. Bookmark the permalink.